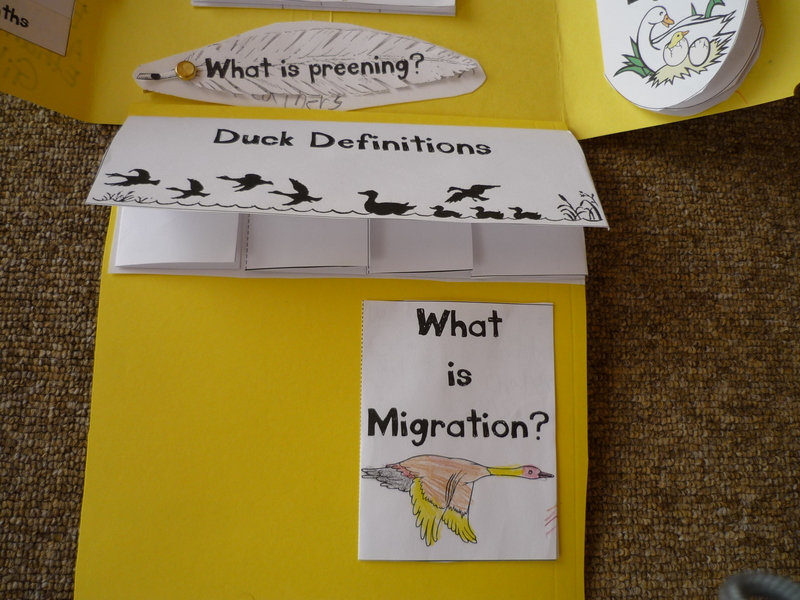 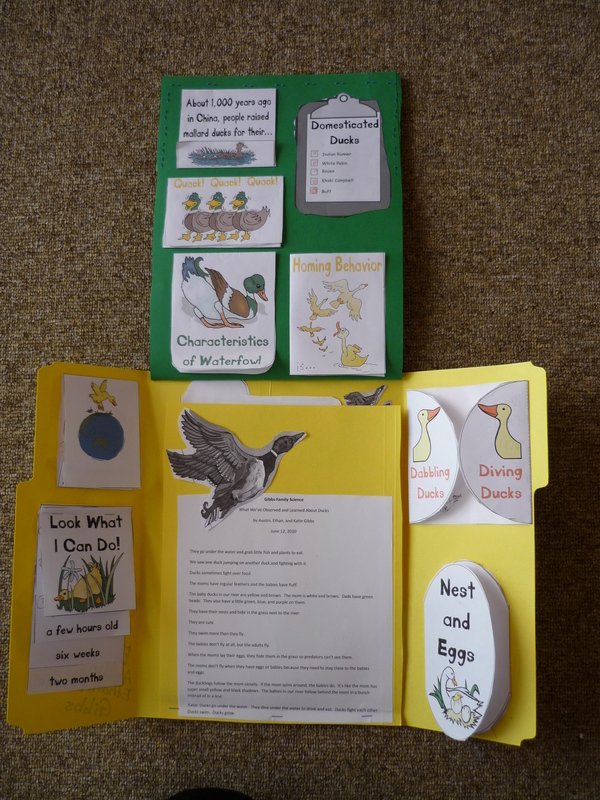 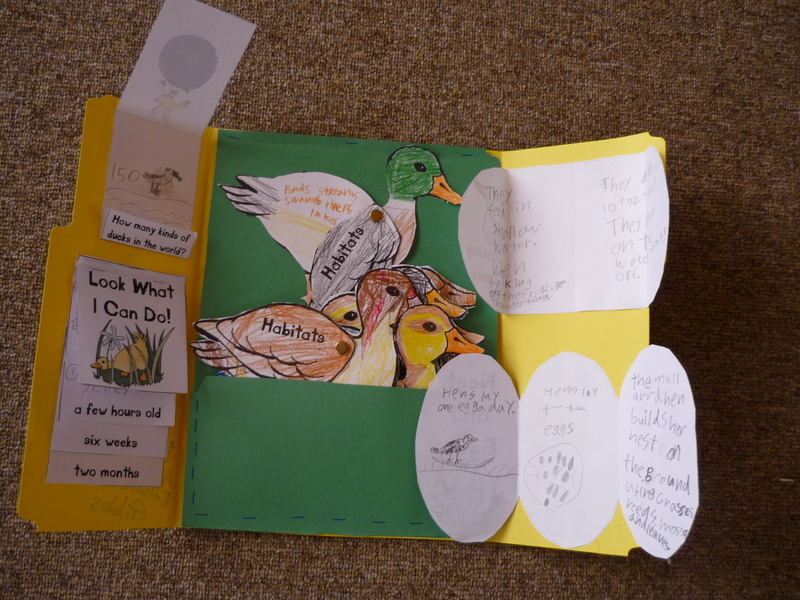 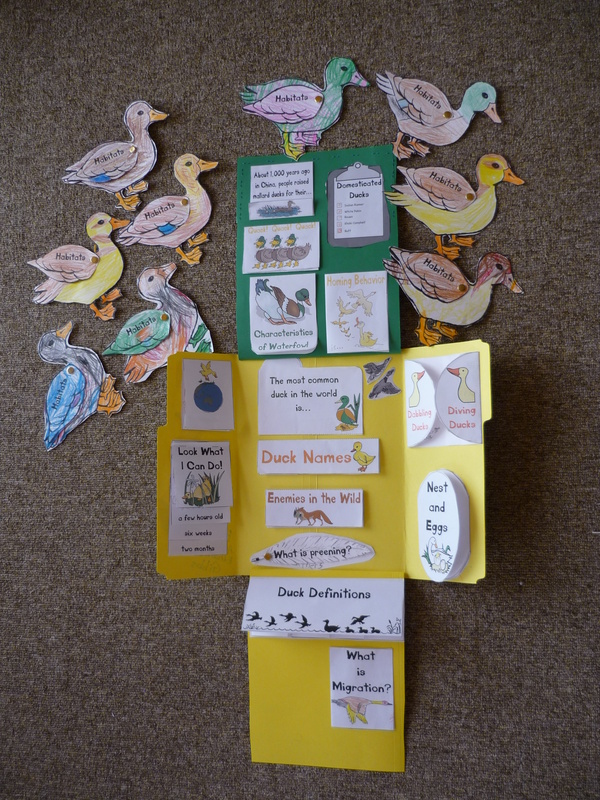 We’d taken a hiatus from doing lapbooks because they can be a bit time consuming, but the kids wanted to make one about ducks since there are lots of mallards that live in the river that runs right next to our house. 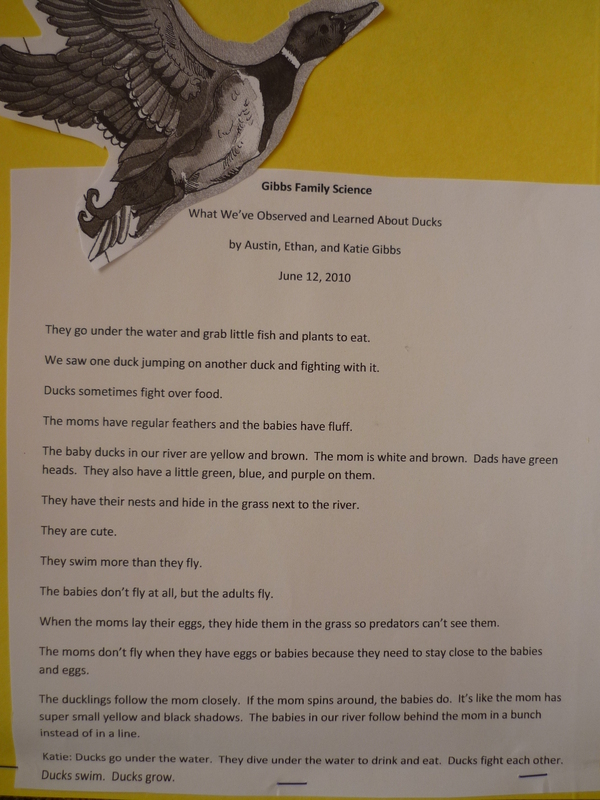 So, we wrote down what the kids have learned about ducks just from observing them in their natural habitat and we read through the book “Ducks” by Gail Gibbons and then used what we learned from those sources to complete our lapbook. 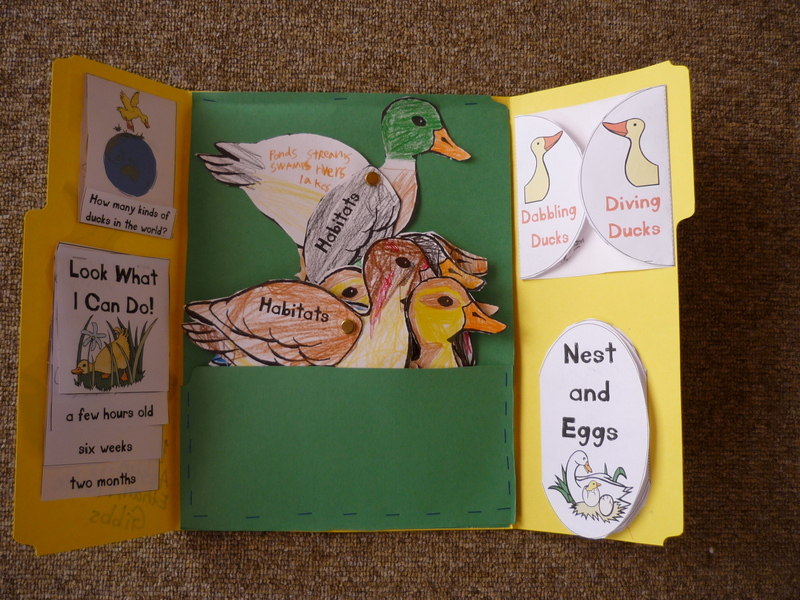 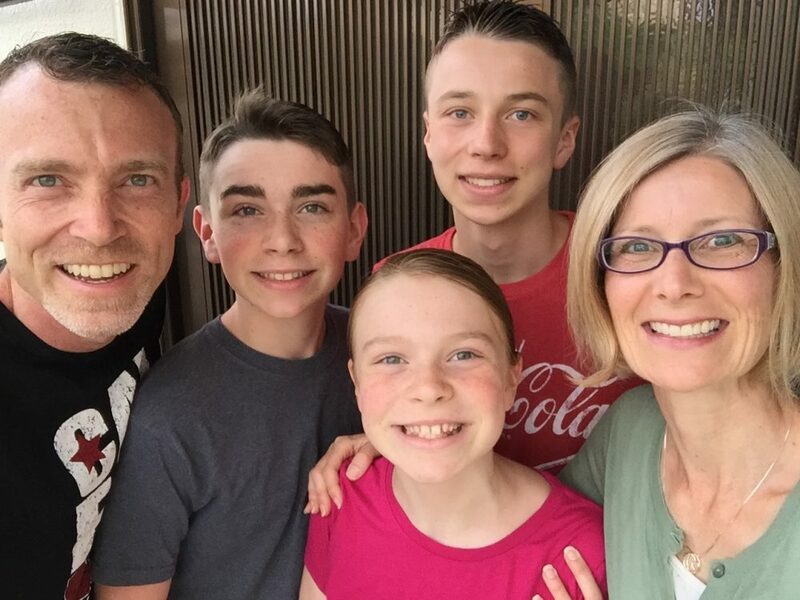 We got the lapbook idea and format from homeschoolshare.com, which has a ton of free lapbook materials that can be dowloaded, printed out, and then filled in by your kids. 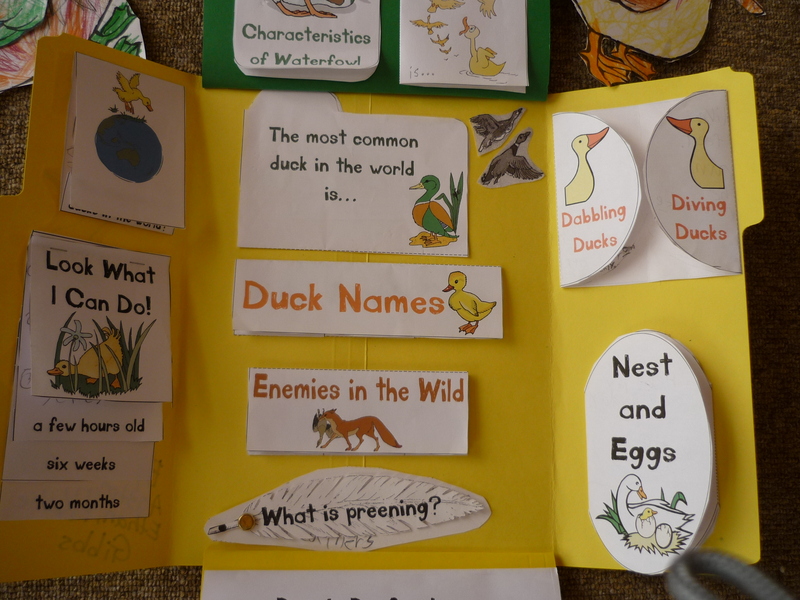 Through our research we learned the difference between diving ducks and dabbling ducks, what preening is, how many different kids of ducks there are, how the vocalizations of male and female ducks differ, and many other interesting duck facts! 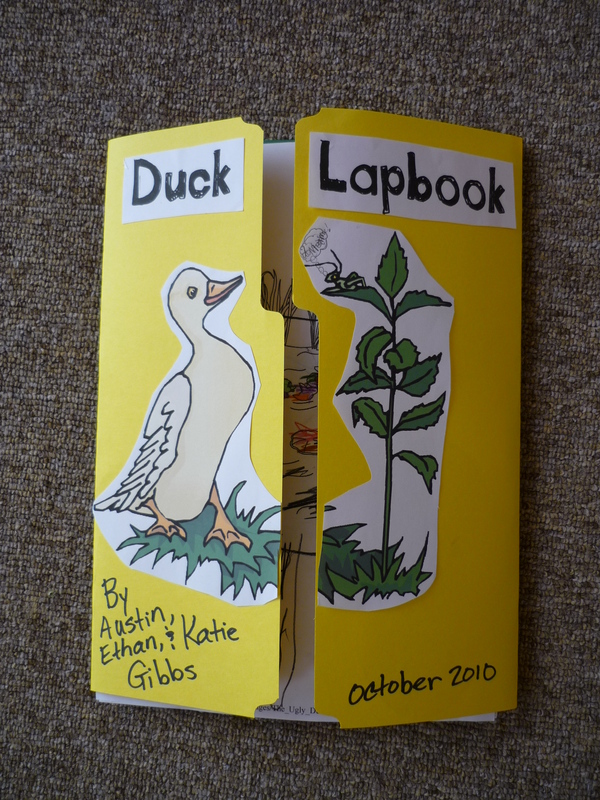 Here are some photos of the completed lapbook.